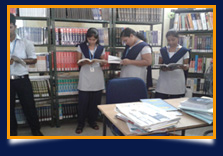 A well-stocked library empowered with the latest Lib-Sys software is provided for support teaching, research, academic programmes and technical development programmes in BEC Central Library. The main focus is on leveraging intellectual capital. The BEC Central Library is well-furnished with a wide range of books, journals, newspapers, research, publications and periodicals. 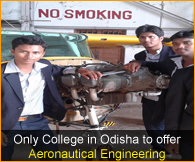 Well equipped laboratories and workshops are the training grounds for budding professionals. BEC has state-of-the- art labs and workshops that enable students to experiment and bring to practice what they have learnt theoretically. 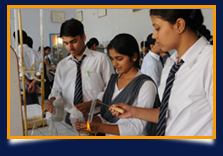 Laboratories and workshops are equipped with required instruments and are supervised by qualified technicians. 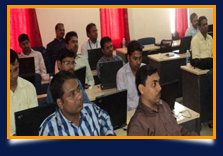 The lecture halls are thoughtfully designed for inculcation of high quality. Learning and Practicing are equipped for education through various media like OHPs, Multimedia presentations and display panels. A variety of learning tools ensure through experimental acquisition of knowledge and skills. Role plays, case studies, project works, field experiences, assignments, quizzing, seminars and industry visits are some of the methods used. Students are encouraged to develop analytical skills and contribute at various forums like in- house publications, workshops and seminars. The hostel provides accommodations to students in spacious, well furnished and elegant rooms with clean and hygienic wash rooms with all modern facilities. Wardens look after the well being and safety of all students and ensure them to be in discipline in the respective boys and girls hostels regularly. 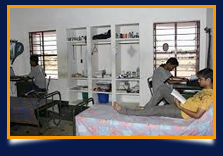 Students may approach the warden freely if they face any difficulty in the hostels. Wholesome and nutritious food is provided at the minimum possible cost in the mess frequently. 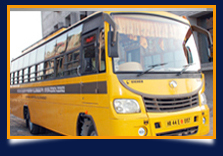 BEC provides transportation facilities to all the members of its hostel boarders as well as the day scholars for which it maintains a fleet of buses which ply regularly on the stipulated routes between the twin cities i.e. Bhubaneswar, Cuttack and the outskirts of the temple city including Jatni and Khordha. Besides the scheduled regular trips, this transport facility is also extended to our students on other occasions like campus placement drives, special coaching classes, study tours, industry visits etc.